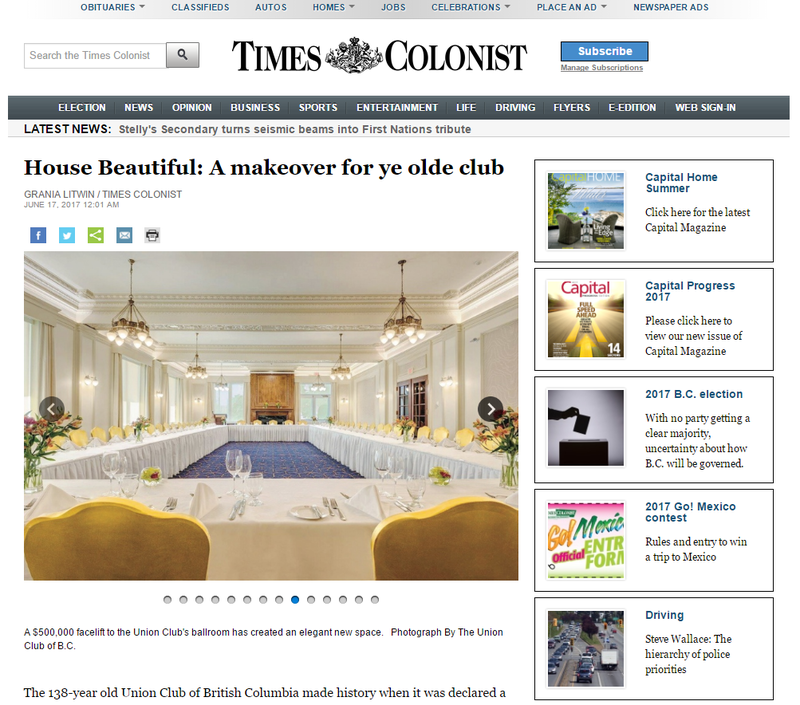 The 138-year old Union Club of British Columbia made history when it was declared a National Historic Site last month. That honour coincided with another important moment — the completion of an extensive $4-million, five-year renovation and redecoration of the landmark Gordon Street building. Next Next post: The designers got it!